Generally, an estate plan consists of two sets of documents – testamentary documents and incapacity documents. A complete estate plan should contain both sets of documents. Contact Attorney Dean Delforge today to schedule your estate planning consultation. 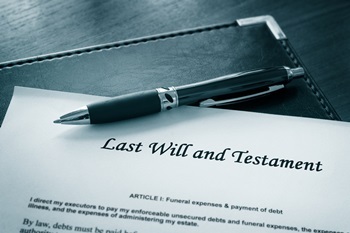 A will, also known as a last will and testament, dictates the distribution of your property at death, and assigns a legal representative to carry out your wishes. A will only covers property in your name (excluding instances of joint tenancy or a trust), and passes through probate before becoming public record. Probate is the process in which the court validates the will and ensures distribution of property is as the deceased wanted. You can also name a guardian for your children and/or specify funeral arrangements in a will. A trust is different from a will. It goes into effect immediately and can distribute property before, at, or after death. How a trust works: a “trustee”, which can be an individual or institution like a bank or law firm, holds the legal title for the property within the trust for the “beneficiary”, the party receiving the property when the trust states. Some trusts have two beneficiaries, with the first receiving income from the trust during their lifespan. The second receives the left over income after the first beneficiary is deceased. A trust can remain private and passes outside of probate. General types of trusts include: marital trust (A), bypass trust (B), testamentary trust, irrevocable life insurance trust, charitable lead trust, charitable remainder trust, generation-skipping trust, qualified terminable interest property (QTIP) trust, and grantor retained annuity trust (GRAT). While a will and trust are two different entities, they work together to complete a well-crafted estate plan. Attorney Delforge will help you determine if a will and/or trust is in the best interest of your estate plan, and execute it legally. Attorney Delforge will aid trustees, beneficiaries, personal representatives, and other interested parties in resolving a range of often complex trust, estate, and probate disputes. His experience in estate plan drafting and trustee or beneficiary representation makes him uniquely qualified to navigate the difficult problems arising from the process of estate planning. Attorney Delforge has handled numerous trust, estate, and probate litigation matters from negotiation to litigation and motion practices before Circuit Courts in a number of counties throughout Wisconsin. He has developed a reputation for negotiating creative and efficient resolutions which minimize family stress, expense, and publicity. 3. 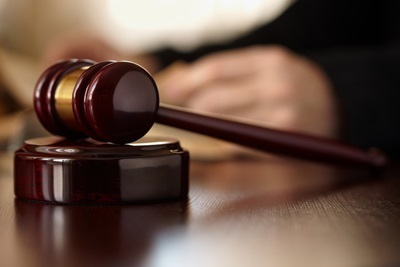 Litigation Preventative Services: Given Attorney Delforge’s broad experience in litigation and representation of fiduciary matters, he is specially qualified to aid you in drafting documentation, avoiding the litigation service and the representative matters listed above. Attorney Delforge looks forward to working with you to help resolve any the fiduciary matters listed above. 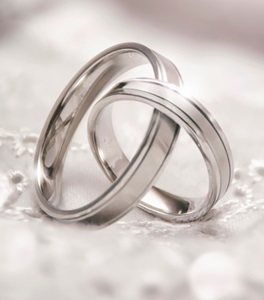 If you are entering into a marriage and looking to protect your existing assets in the event of marriage dissolution, Attorney Delforge will help you execute the ideal marital agreement for your specific circumstances. A premarital agreement (also known as a prenup or prenuptial agreement) is entered into prior to marriage, and governs the financial and property rights of each spouse in the case of divorce. A marital agreement (also known as a postnuptial agreement) can be entered into before or during a marriage. It dictates the division of marital property upon divorce. A marital settlement agreement could cover some or all of the following: division of property, division of debt, spousal support, child custody, and other relevant divorce related issues. Life insurance planning is an essential part to a complete estate plan. It can serve many needs, including: paying death taxes, paying expenses, covering education expenses, funding business buy/sell agreements, and in some cases, funding retirement plans. Attorney Delforge will help you choose a life insurance plan best suited for your wishes, and ensure the care of your loved ones after your passing. He will help you understand your life insurance options, how it acts within your estate plan (debt repayment, estate liquidity, income replacement, wealth accumulation), as well as how to establish beneficiaries. Attorney Delforge can also help you set up life insurance trusts if you desire. Retirement and IRA planning are a crucial aspect of your estate plan. Proper planning secures your financial future after retirement and helps reduce additional costs for your beneficiaries after death. Attorney Delforge will help you navigate decisions such as: declaring primary and contingent beneficiaries, establishing time tables in which your beneficiary can defer withdrawals from the retirement account, whether naming a trust as a beneficiary is ideal in your specific case, and more. Further, he will help you understand the complex tax structure related to your retirement account. Attorney Delforge can also help you set up an IRA (individual retirement account). There are two types of IRAs – Traditional IRA and Roth IRA. 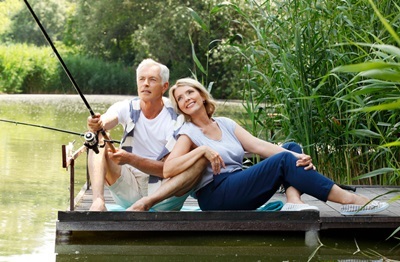 With a Traditional IRA, money is saved directly and taxes are deferred until you retire. With a Roth IRA, you can save pre-taxed income – owing no additional taxes upon retirement. Attorney Delforge will also help you name a beneficiary to your IRA, or help you set up a Standalone IRA Trust. Contact our Brookfield Estate Planning Attorney for guidance today.